Executive Pastors have the right mix of vision and execution, America is arguable already Post Christian, and workplace culture starts with, yes, the leaders! Warren Bird and Carey Nieuwhof speak to Leaders about the pulse of the Church and a leader's role in this two part podcast. When church pastors fail morally; the church body, the community, and the church leadership are all looking for answers. Calvary Chapel in Ft. Lauderdale experienced this, and their current lead pastor, Doug Sauder, shares how the church recovered and started rebuilding trust with their congregation and community. What about the Pastor's soul care? Caring for the soul of the congregation is a given, but church leadership needs to guard one another's hearts as well. It's not obvious at times, determining the condition of your pastor's soul, but Dan and John give practical advice in what to look for and, most importantly, how to help! Dan Busby and John Pearson have served 100's of hours on nonprofit and ministry boards over the years. In their book, Lessons from the Church Boardroom, they explore 40 lessons for the church governing body. Hear Matt Chandler's thoughts on accountability as a large church pastor and how the Village Church implements their system of accountability for three lead pastors. Having a second set of eyes is always a good idea when it comes to reviewing something important. Undergoing an audit can be great protection for your church and encouragement for your congregation. Tune in for best practices and how to best determine the needs of your ministry. As connection to church becomes more of a title and less of a relationship, impacting lives requires individual Christians living on mission. Tune in for a dive into what relational evangelism looks like today and how to effectively reach out and speak into our culture. 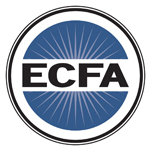 Here at ECFA, 2019 is the year of Excellence in Governance. Tune in for an exclusive sneak peek at the fresh resources, books, and events coming your way. Whatever milestones or goals 2019 holds for you and your church, we are here to help! Join special guest Glenn Wood for a deep dive into project planning from start to finish. From someone who has been there (time and again), here are some tips on how to define goals within the scope of your budget while facing all the difficult decisions and discussion along the way. With growth comes the inevitable question: should we go multi-site? Whether you are on the cusp of that decision, launching new ministries, or even struggling with growth, you’ll want to hear this inspiring story of God’s leading. Tune in for an insightful discussion with special guest Justin Steinhart.